It probably looks petty, but in recipes asking for specific internal cooking temps, a meat thermometer makes all the difference between an overcooked dish and one perfectly cooked. You may even discover that once you get in the hang of using a cooking thermometer, you’ll come to depend on it in recipes that don’t ask for it. Research shows that every year over 45 million folks are hospitalized and more than 2,500 die due to foodborne illnesses. You don’t want to be in that number. 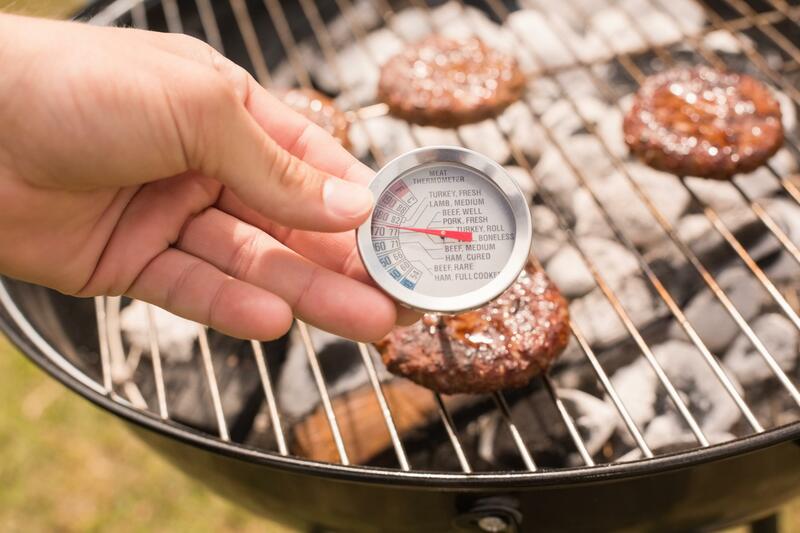 By monitoring your food temperatures in all the phases of cooking, you really lower the chance of foodborne diseases. To stop infection, it is recommended you use the “7-log10” reduction of bacteria. This states that 99.99999% of bacteria has to be killed. To do this takes certain temperatures for certain amounts of time. Unless you are a super hero and can measure internal temperatures with your eyes, you should use a thermometer so that your baked chicken safe to eat. You can’t feel bacteria by pressing on it! A lot of people says they haven’t gotten sick, so why use one. Um, there’s a solid chance that you’re most likely overcooking your food. Take chicken, for example. It is stated that chicken is safe to eat if cooked to 157°F, if it stays at that temperature for around 35 seconds. That is way under the rubbery textured 165°F we’ve all heard before. I can let you know from my own experience that chicken cooked to 157°F is much more flavorful and tender than when it is cooked to 165°F and it’s safe. DO I TRULY NEED A DIGITAL THERMOMETER? Yes, if you are serious about getting a food thermometer in the first place. You should buy a digital thermometer too.